February 27 was “No Brainer Day.” Time to take a deep breath, stop second-guessing your decisions, and quit overanalyzing things. Sometimes, the obvious answer really is the best answer. Take the issue of customer focus. It is an established business practice to consider the customer experience, but the focus on customers has taken a turn in recent years. Customer-centricity has moved from a basic precept to the cornerstone for major strategic initiatives. In our recent 2018 Process and Performance Management Priorities and Challenges Survey, we found that 40% of organizations believe an emphasis on customer-centric processes is driving the need to change how process management teams work. All this lends support that focusing on the customer throughout the organization is a “no brainer” and indicates a shift in priorities. 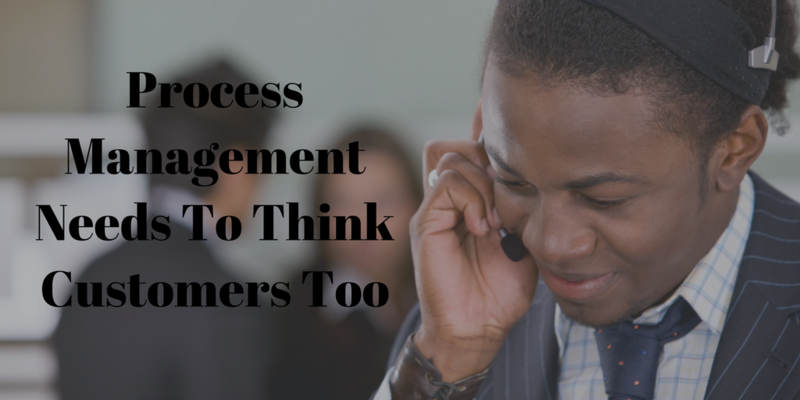 But what can process teams do to help build the customer into their process work? There are two significant ways organizations can focus on customers in their process work: end-to-end processes and customer journey maps. End-to-end processes use outside-in thinking, which helps organizations focus on the value created for the end user or customer, which ultimately improves their experience. The combined use of process frameworks and an end-to-end design is invaluable. Without this integral foundation, programs such as digitization, agility, operational excellence, innovation, and cross functional management are impossible. The way Dell EMC made this transformation is an excellent case in point. This organization began by using documentation from a recent enterprise resource planning (ERP) implementation as a starting point to identify five of its most common customer-focused, end-to-end business process categories, defining five high-level process categories, from research-to-market to order-to-cash. These became the foundation for Dell EMC’s process framework, allowing the organization to evolve from functional efficiency to process efficiency by developing end-to-end processes and constructing a comprehensive framework to give decision makers context for making resource allocation decisions that reinforced the company’s strategic objectives and competitive advantage. Customer journey maps are like end-to-end processes, but they look explicitly at the steps and interaction points for customers. The value of this approach is its focus on the customer experience and prioritizing process improvements based on customer needs and expectations. An insurance organization took the concept of tying end-to-end processes with customer satisfaction to the next level. As the organization expanded its focus from costs, service, cycle time, and efficiencies to include the customer experience, its business process improvement (BPI) team began using discovery workshops to integrate the customer experience into the process for identifying improvement opportunities. Today, when the BPI team examines a process, it collates customer experience data, the relevant end-to-end process map, and performance data to build a customer journey map. Customer journey mapping has helped the BPI team clearly articulate the customer view and process issues, which made it possible for it to precisely identify and prioritize solutions from an external perspective. This has also allowed the team to secure business unit and senior leader buy-in for process improvements.